Commentator Jonathan Capehart called on faith leaders to condemn the homophobia of Robertson and his ilk. 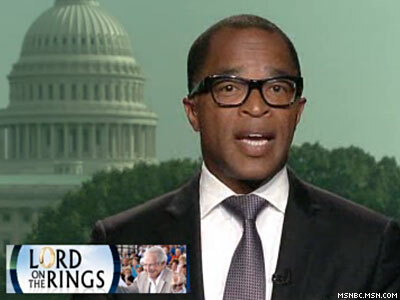 In light of Pat Robertson’s most recent antigay rant — claiming gay men spread HIV by shaking hands while wearing rings with sharp edges — it’s time for other religious leaders to stand up to homophobia, says Washington Post columnist Jonathan Capehart. Watch the video below, in which Capehart also notes how he registered his objections to homophobic language in a minister’s eulogy for his aunt.